Upgraded from an 18' boat to a Majek M2 a few months back and recently started fishing the rigs out of SPI for snapper when the weather permits. Wanted to purchase some Snapper Slapper lures but wanted advice on size/weight. I'm mostly fishing water 70'-120' in depth. Favorite colors would be nice also. Any advice would be appreciated. Tight lines. I've had success with just about every color they have but I only use the 5 and 3 ounce and have had success with hooking cut bait on it and without it. My personal preference is the 7oz blue and green or red and white , I noticed this past season we started having the thread that holds the skirt o was coming unraveled and eventually the skirt would start coming apart , oh , another thing , we always remove the smaller hook and just put them aside for backup purposes , I think having two hooks on ther increases your chances of getting one buried in your hand while trying to get a fish off that isn't wanting to be in the boat. I like the 5 and 7 oz. Any color. I do trim the skirts by 2 or 3 inches thow. And I like to use a strip of cut bait or squid. I also have some smaller 1oz that are rigged like a speck rig. Great for catching bait or any kind of fish on a weedline/structure. When it's federal snapper season and I don't want to catch lots of smaller fish I almost always use snapper slappers. I only use the big ones, and usually put a large cut bait, whole squid, or whole dead fish like a pinfish, barjack, or sand trout. Color doesn't seem to make a huge difference to me, I like blue/white, pink/yellow, and purple. I firmly believe I catch better quality fish this way vs. anything else I have tried. Big baits = big fish. 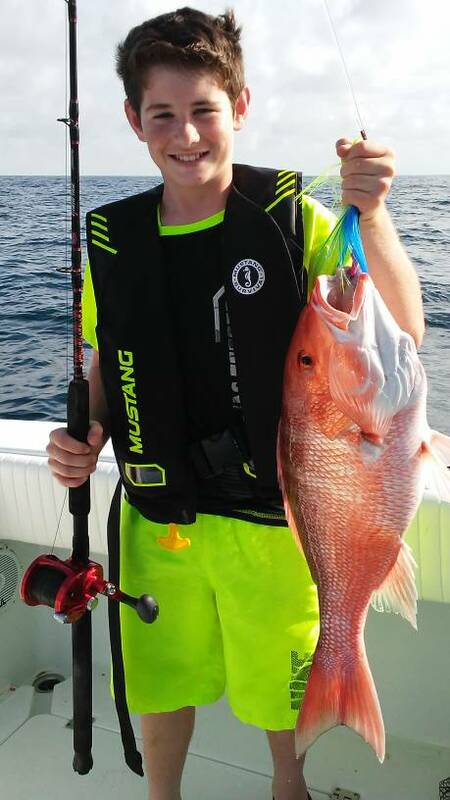 If I am fishing closer in for state water snapper I usually just fish double drop rigs or carolina rigs with smaller bait, knowing I am going to catch more fish but smaller and need to release a bunch. I can tell you that below 80' or so, there's not much visible color. kinda like a black and white tv. not sure if that helps, I use bait. Most productive colors for me have been white, white n red, and the lime green. Glow in the dark ones for night fishing even catch Blackfin tuna! !